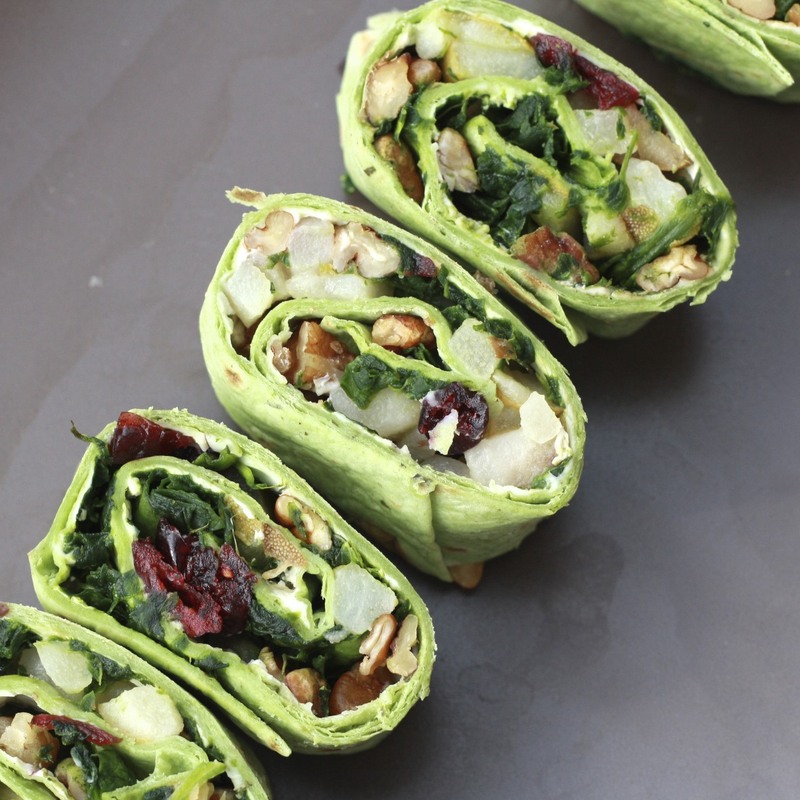 If you Pinterest, this is a recipe you'll want to pin. Google reader users, star this. Email subscribers, don't delete this email! When I served these, I had at least ten different people approach me to ask what exactly was in them or how I made them. Their enthusiasm says it all--these babies are good! I'm always looking for party foods that can be served cold and are made ahead of time, and this meets both of those qualifications. Don't try to make these and immediately slice them, they won't hold together as well. Refrigerate for a few hours or overnight before cutting and they'll hold together nicely, as you see in the photos. 1. Melt butter in a large saucepan over medium heat. Add diced pears and saute until softened slightly, about 5 minutes. Remove from heat and set aside. 2. 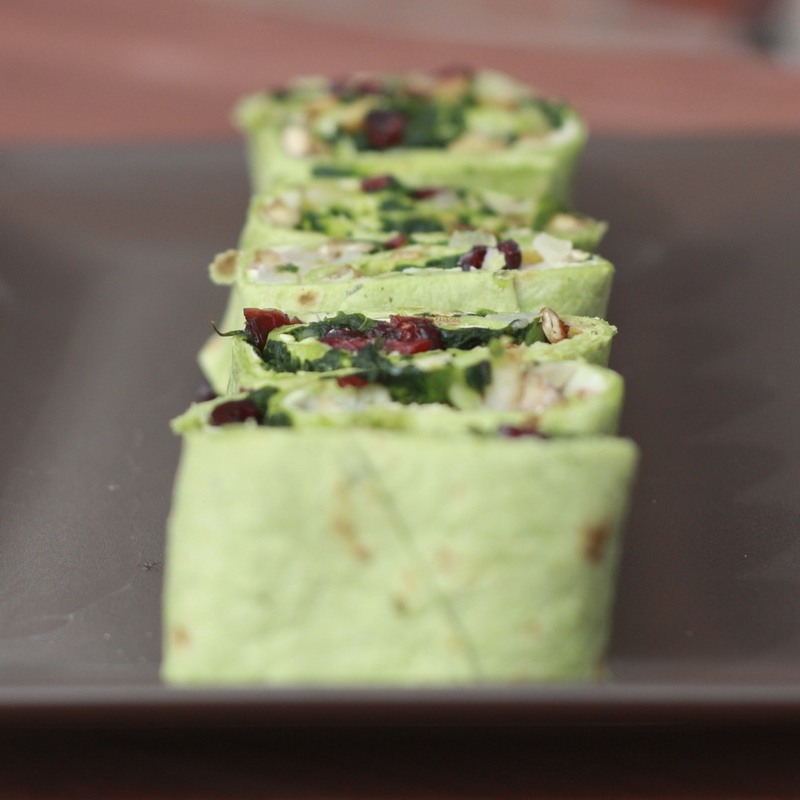 To assemble pinwheels, spread a layer of cream cheese on each tortilla. 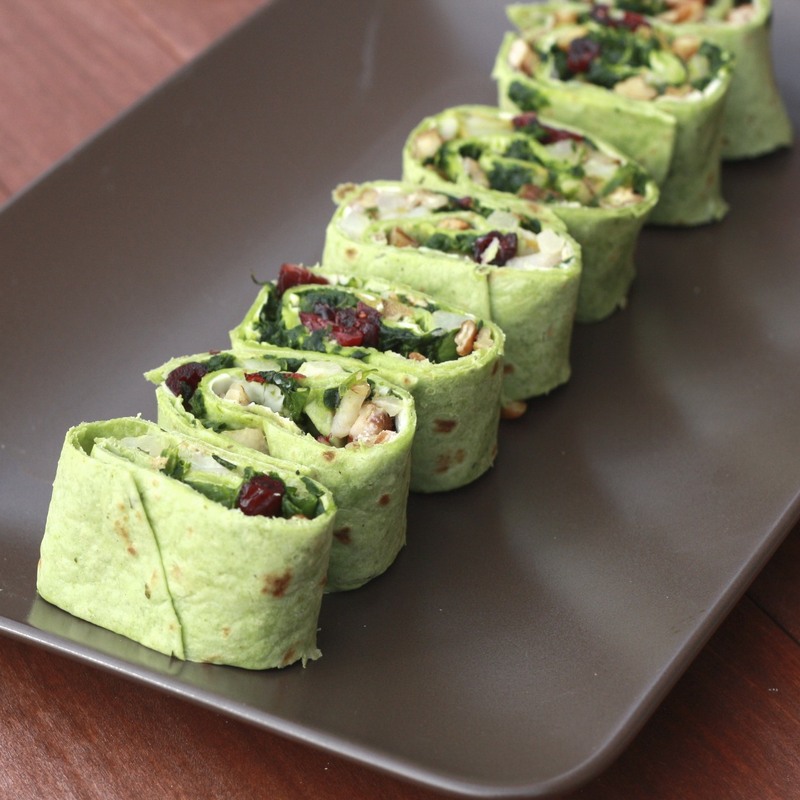 Sprinkle diced pears, pecans, dried cranberries, and spinach over the top of the tortilla. 3. Roll up each tortilla tightly and place in a container or a large ziploc bag, seam side down. Allow to sit for at least 4 hours or overnight. Just before serving, cut the edges off of each tortilla before slicing off individual pieces.